By Brian Scott. Brian farms just over 2,200 acres in Indiana with his father and grandfather where they raise corn, soybeans, popcorn, and wheat. This month, GMO Answers wants to give you a glimpse into the daily lives of some of our volunteer experts who provide answers to your questions about GMOs, agriculture and biotechnology. Ever wondered who grows the food you eat? 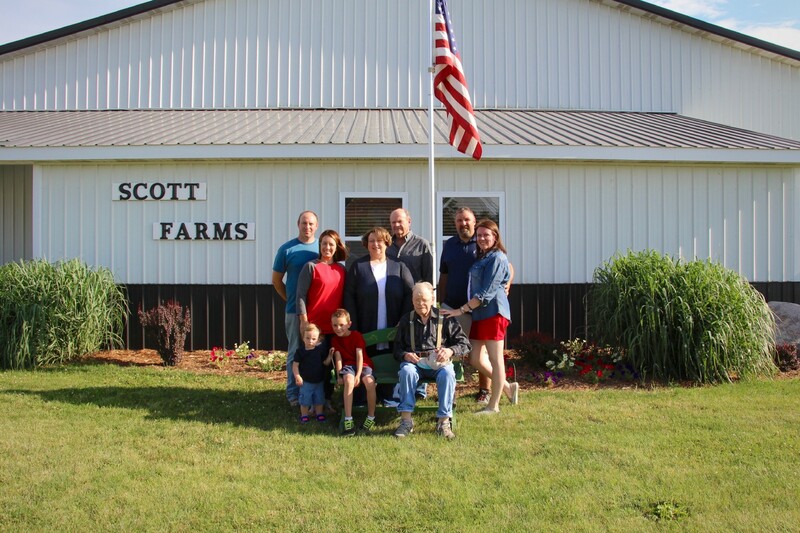 Learn more in this first installment of our “Day in the Life” series, where farmer and GMO Answers volunteer expert Brian Scott describes how he balances farm and home life in a typical day. 1. Tell us about yourself — how did you decide to become a farmer? I was born and raised on our family farm. It wasn’t until my last semester of college that I decided not to farm. I ended up working in town for about six years after college first as assistant manager then store manager of two Rural King stores. I began to look for a job in agriculture, and I finally decided to come back to the family farm in 2009. Leaving the farm was probably the best thing I did. It made me realize farming is what I’m supposed to be doing. It provides a great work/life balance for us, and I look forward to going to work every day. Right now we are in the middle of the growing season so for us the field work with equipment in the field is done until harvest. There are still many jobs to do, though. The past week I’ve been spending a good deal of time looking at soybean fields to see if they are ready for their first post emerge spraying. We hire out all our spraying so it takes some coordination and communication to get things done how we want. I’ve also been collecting corn tissue samples to send to a lab to find out if we are limited by any particular nutrient. I should have the results any day now. When they arrive we will assess them and see what action, if any, needs to be taken to push our yields. Off the farm, my day starts by dropping off our two boys at either one of their grandma’s houses. Depending on the day, the little one may go to day care and the oldest will go to one grandma or another. My wife works in two counties, so there are days she takes the boys depending on where she is working that day. When we all get home we will probably drive over to our new house that is being built right now to check on the day’s progress. It’s exciting! Then we’ll relax at home while the boys play until they go to bed. 3. How do biotechnology and GMOs impact your farm? Biotech is key right now as we are getting different fields sprayed to control weeds. Half our field corn plus our popcorn is non-GMO so we have to be sure to communicate that to the applicator. Not so much for spraying the wrong herbicide, but so they’ll know whatever sprayer comes to those fields has to be rinsed clean of glyphosate (Roundup) before our fields are sprayed. We are growing some Xtend beans this year which means they have a biotech trait for dicamba tolerance in addition to glyphosate tolerance. The additional trait expands our weed control toolbox for soybeans. That box is already somewhat limited during the growing season as compared to corn. There are great herbicide options even in non-GMO corn that can be sprayed in crop. 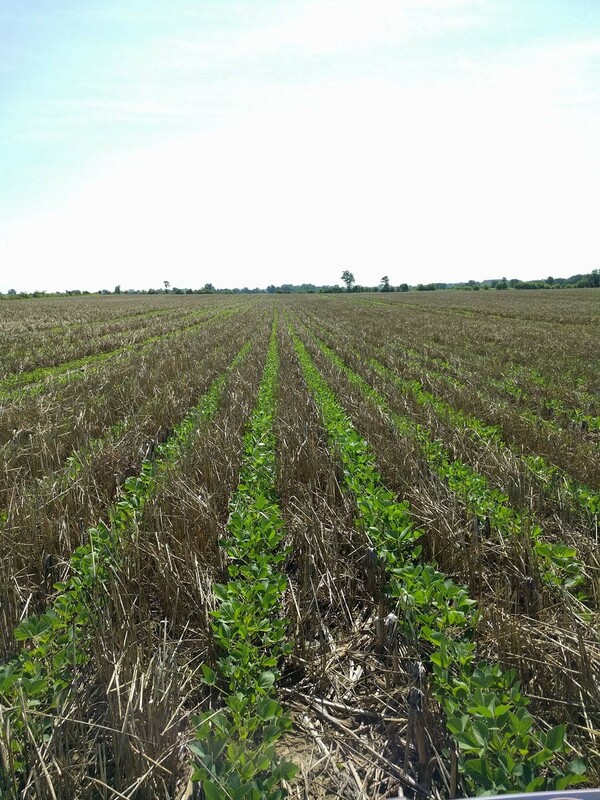 Soybeans are somewhat limited after emergence. We may or may not use the two dicamba formulations on the market for these beans depending on the types of weeds we find in those fields. Glyphosate on its own may work just fine. But if we find marestail and waterhemp in the Xtend fields we’ll go ahead with spraying Xtendimax or Engenia to handle them. Liberty Link is another option in corn and soybeans that brings tolerance to another type of herbicide. And soon Enlist soybeans should hit the market which will allow for spraying of 2,4-D in beans, so the toolbox is expanding which is good. More options means more ways for farmers to control tough weeds. Rotating types of herbicide is an important part of stewarding biotech so that we don’t rely on a single herbicide. Doing so puts great selection pressure on weeds, and eventually resistance in the weed population will arise. Herbicide isn’t our only tool for weed control, but it’s nice to see the options on the rise. I want everyone to know that we try to be better farmers every season. We try something new or different every year and test the results against our normal practices to see which works better. 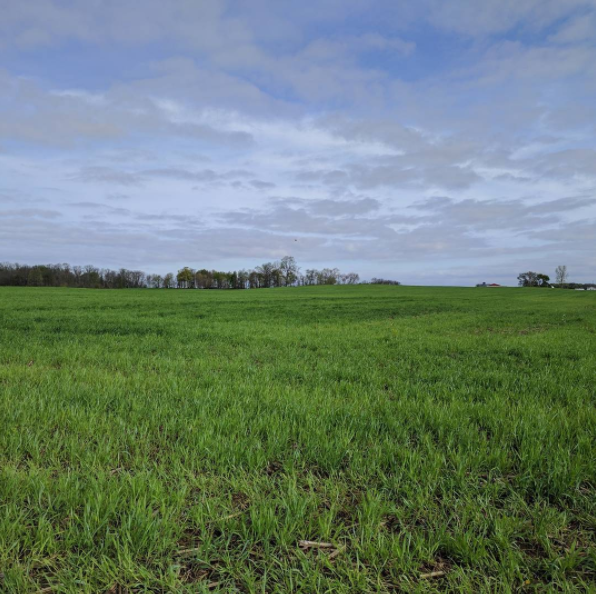 We set up trials for fertilizer and seeding rates to see what the upper and lower limits are where yield or cost of production begins to suffer. We’ve been pushing further with cover crops by letting them grow longer in the spring than we have in the past. It can get a little dicey with a wet spring like we had this year, but we are learning more about how to manage covers each season. 5. How does your farm benefit your local community? Although the farm is the family business we really have a team within our community that works with us to be successful. I already mentioned the custom spraying we have done. All our dry fertilizer is custom applied as well. Our chemical and fertilizer dealers, of course, get paid to cover our acres, and they employ local people to do these jobs. Our business reaches further into the community through our bank, our seed dealers, the grain elevators we haul to, our crop insurance agent, and so on. We just recently were a stop on the Purdue Farm Management Tour, which allowed area farmers and ag business people to visit our farm and learn why we do things the way we do.